Another response to Illustration Friday topic 'Ocean'. I decided I wanted to do a self portrait of myself and use the hair as the sea. 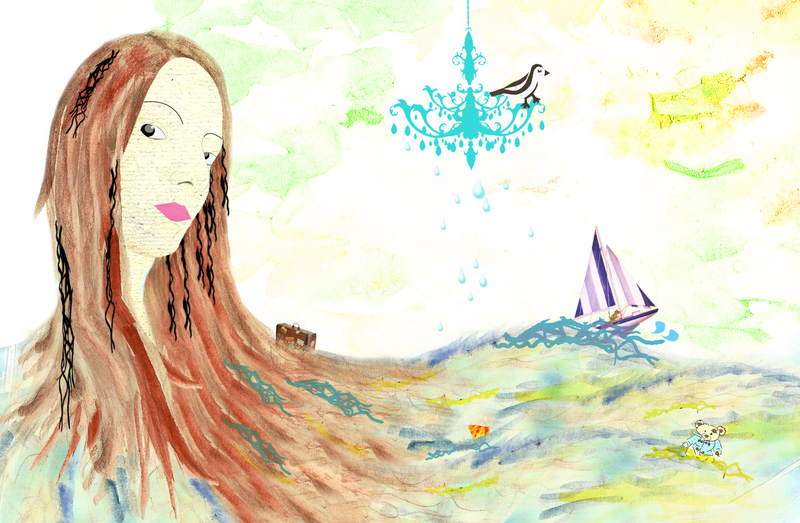 This image is in response to Illustration Friday topic 'Ocean'. 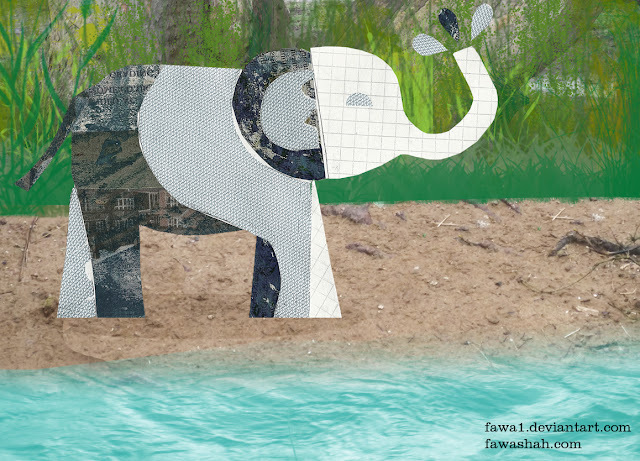 When I thought about 'Ocean', I had an idea of an elephant next to water.